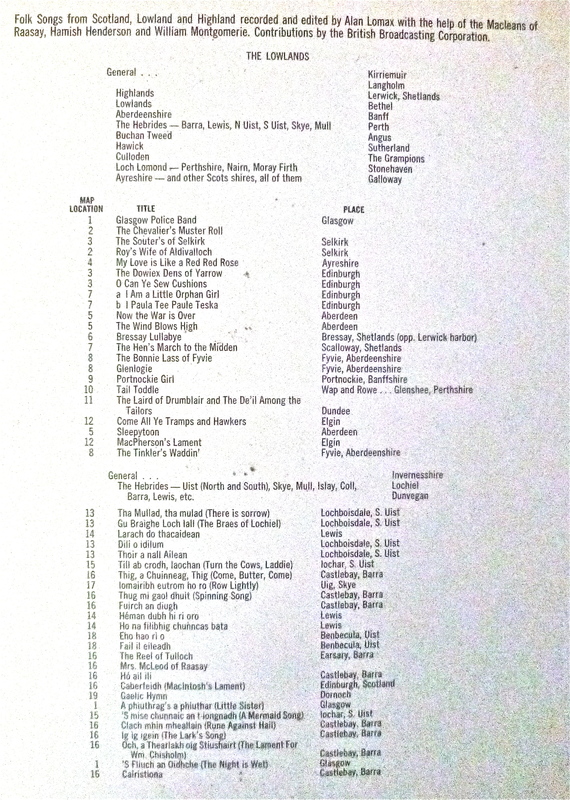 Here’s volume 6 of The World Library, one of the two volumes i was missing to have the complete World Library serie. 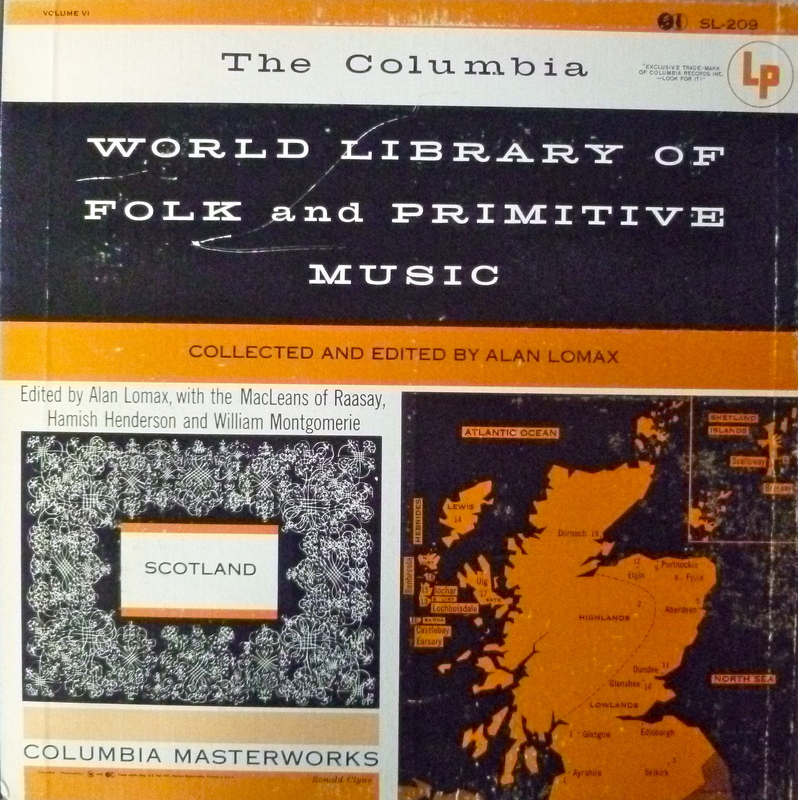 This is a presentation of Scotland’s traditional music, recorded in part by Alan Lomax himself in 1951, (with the help of the Macleans of Raasey, Hamish Henderson and William Montgomerie) and there are some BBC recordings as well. 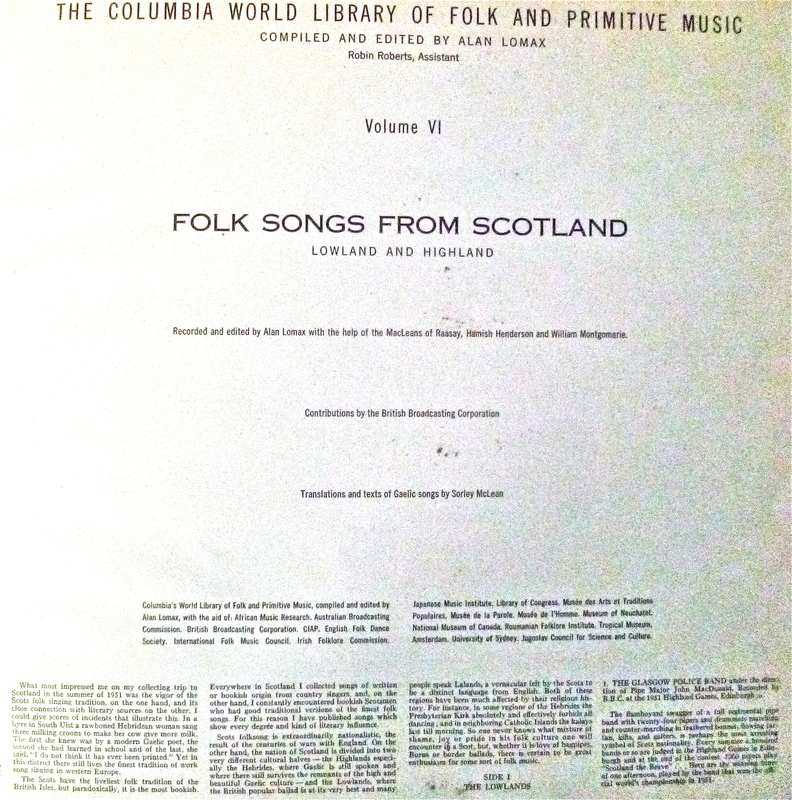 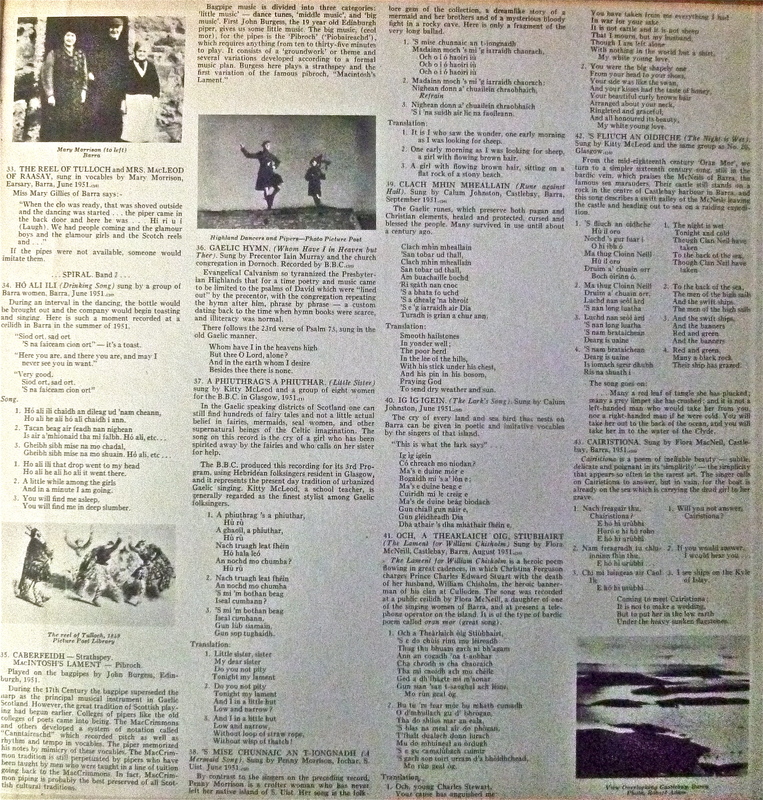 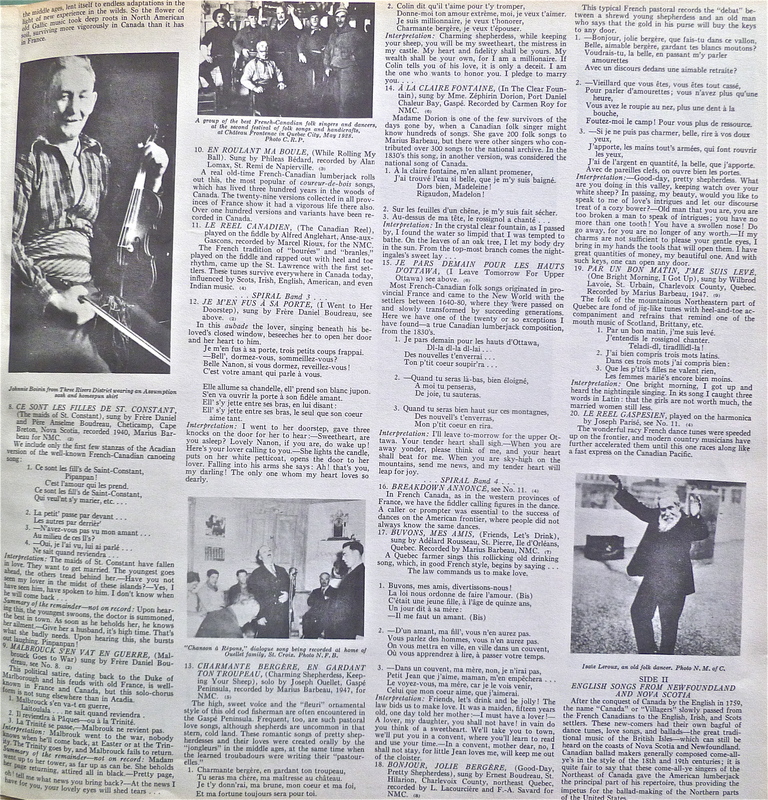 1951 was an important year in the history of Scottish music as in august of that year, the Edinburgh’s People Festival introduced on stage for the first time, many practicioners of traditional music. 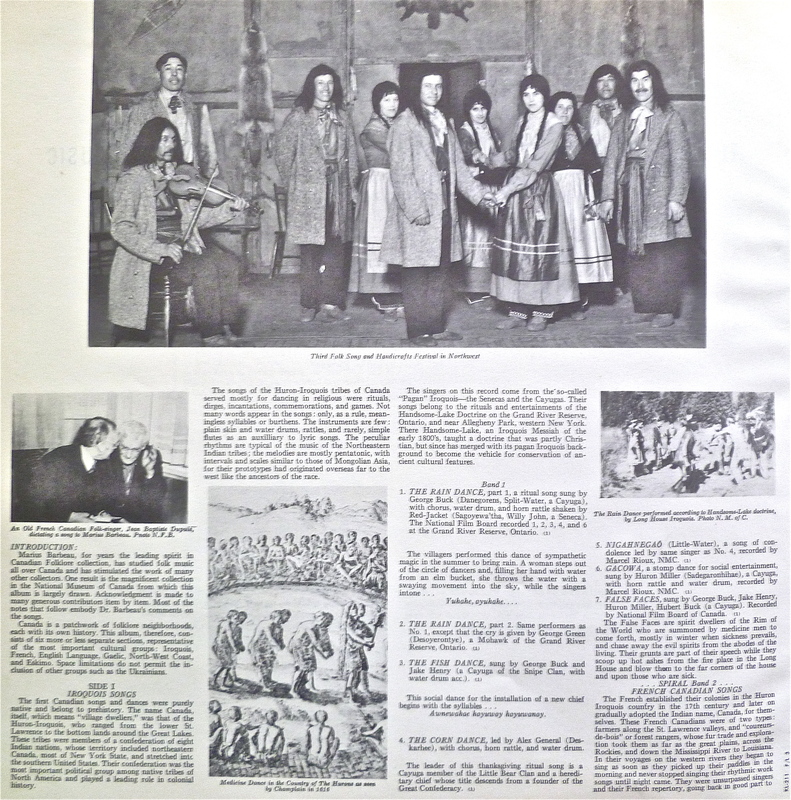 It was the start of a folk revival that would spread interest in these music for the years to come. 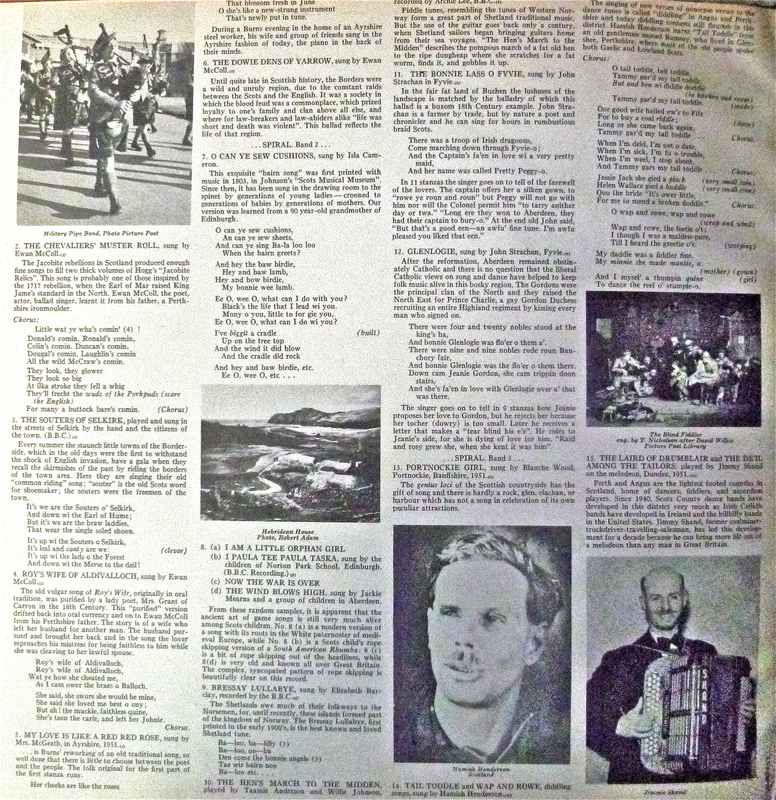 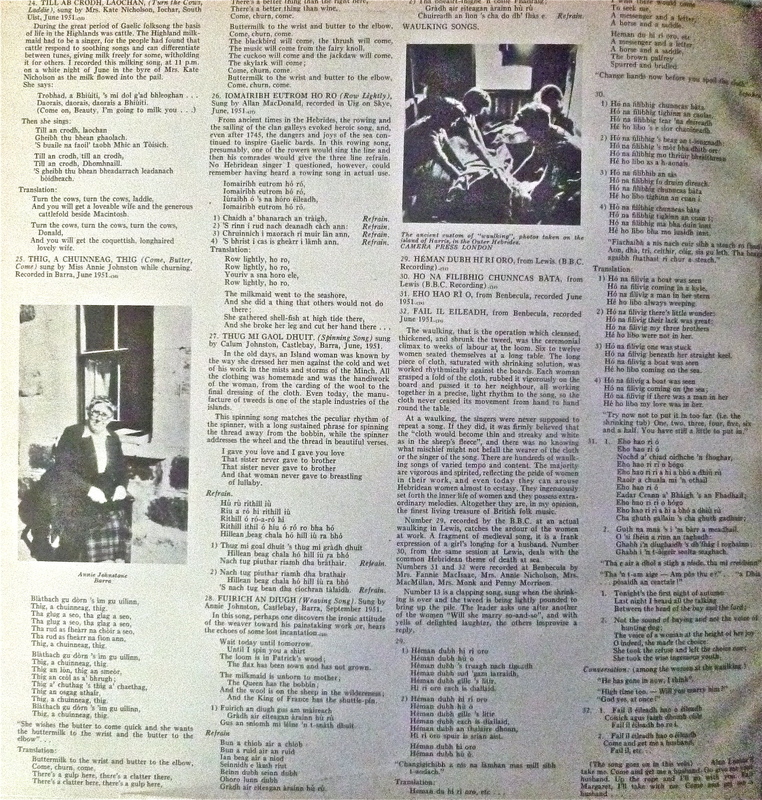 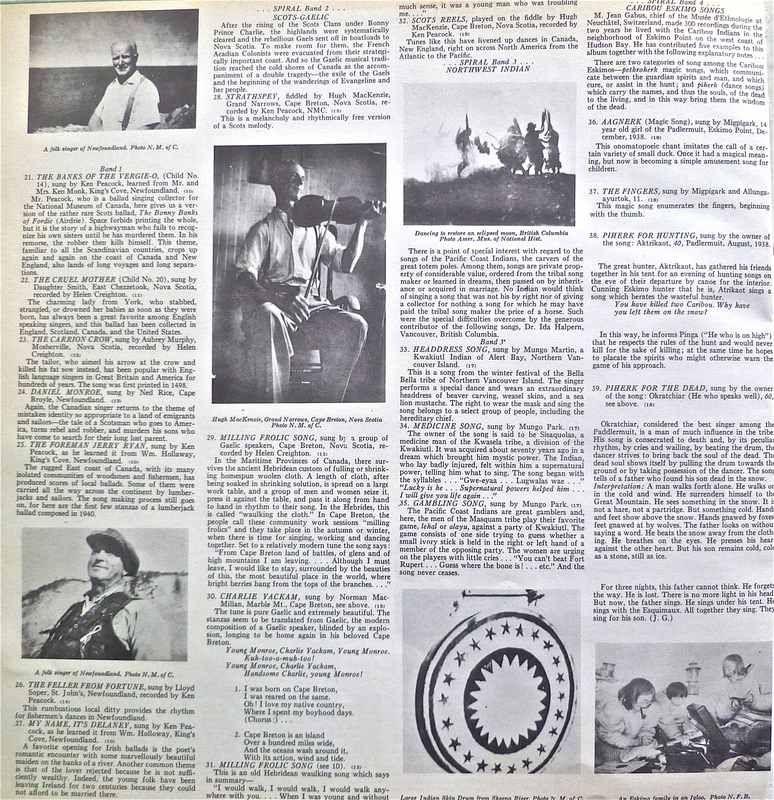 Some of the key revivalists of that time are present on the record: Ewan MacColl, Isla Cameron and Hamish Handerson. 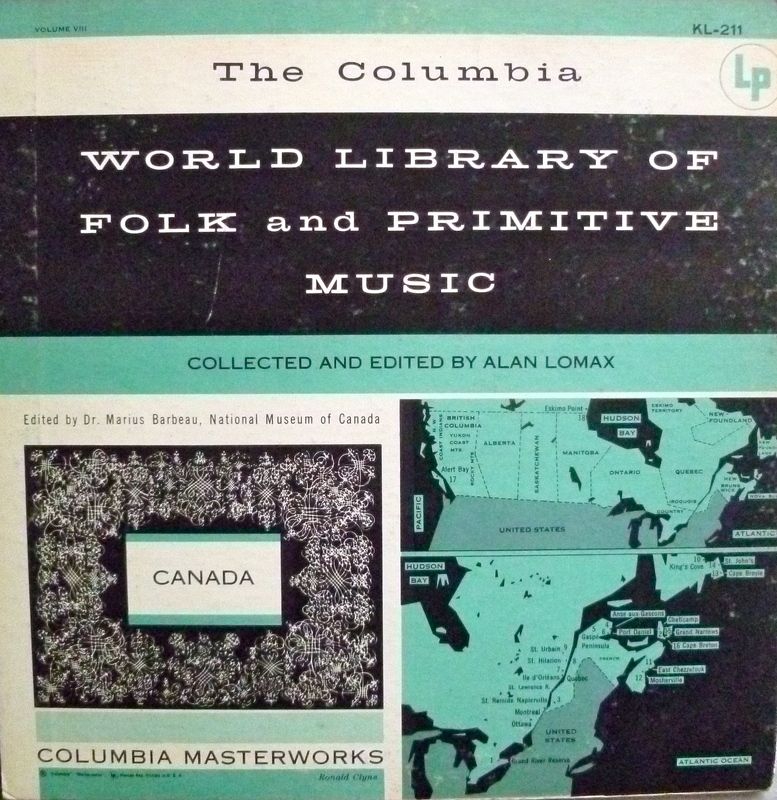 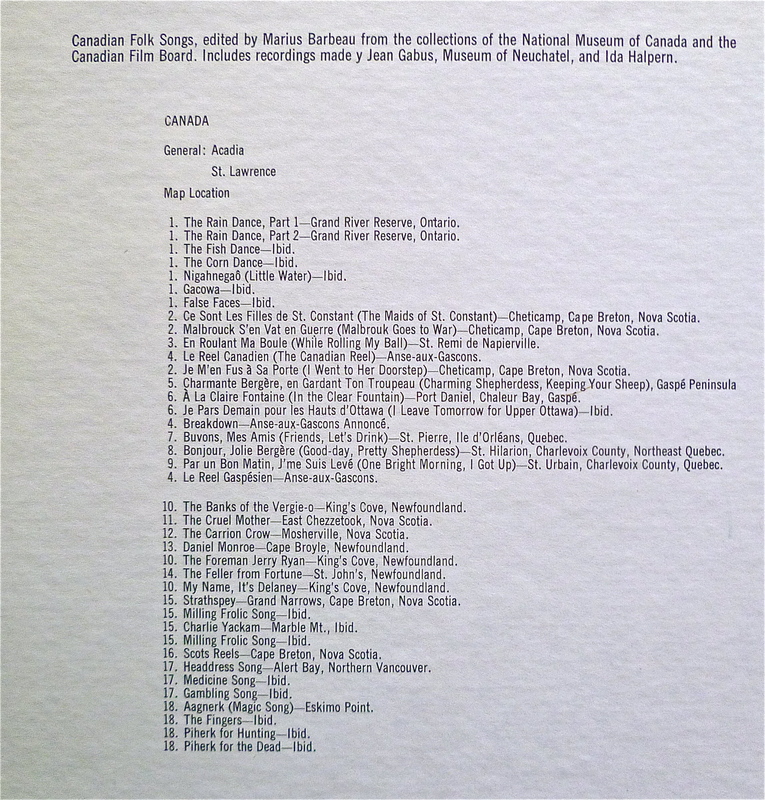 Among the traditional singers, Jimmy Mac Beath and John Strachan would be recorded again by Lomax and some cds of the Alan Lomax Collection are dedicated to their fine singing. 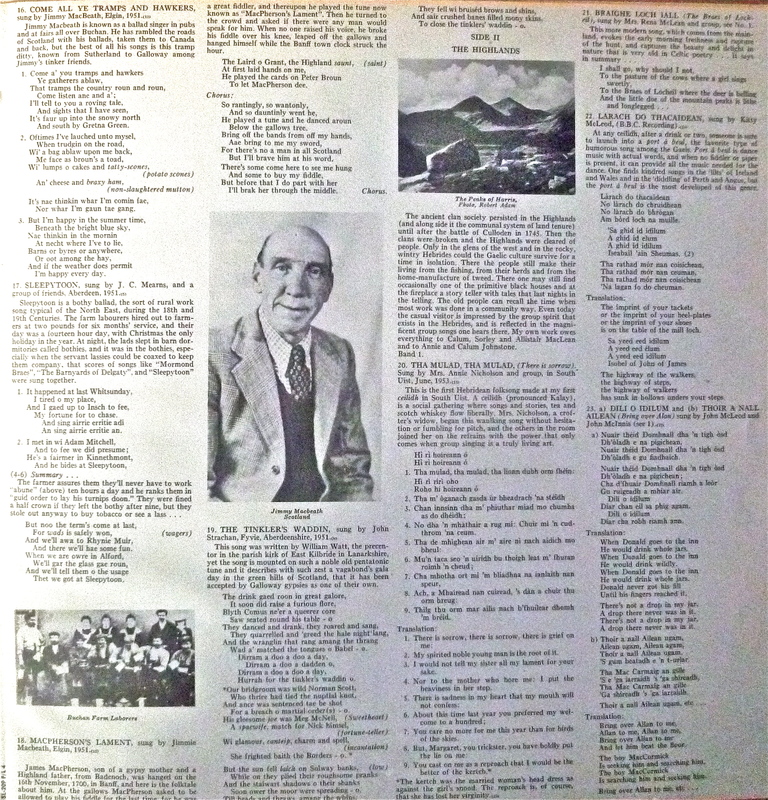 Instrumental music is present also with, among others, Jimmy Shand’s melodeon and John Burgess’ bagpipes playing.